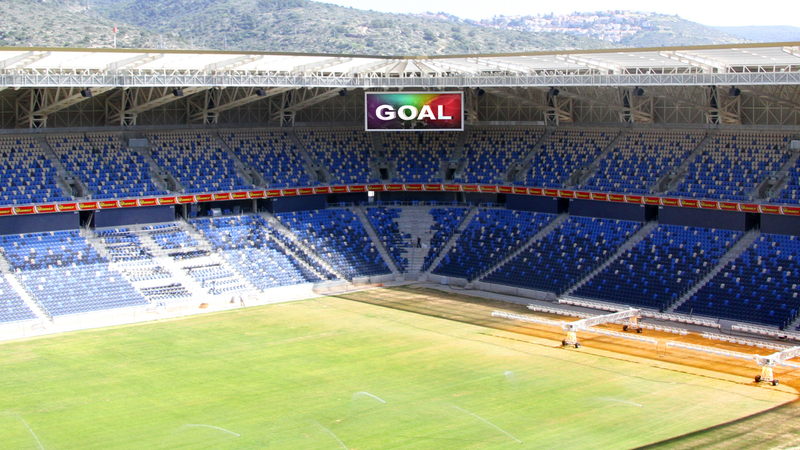 Visualed won the tender for new Sammy Ofer Stadium score boards. 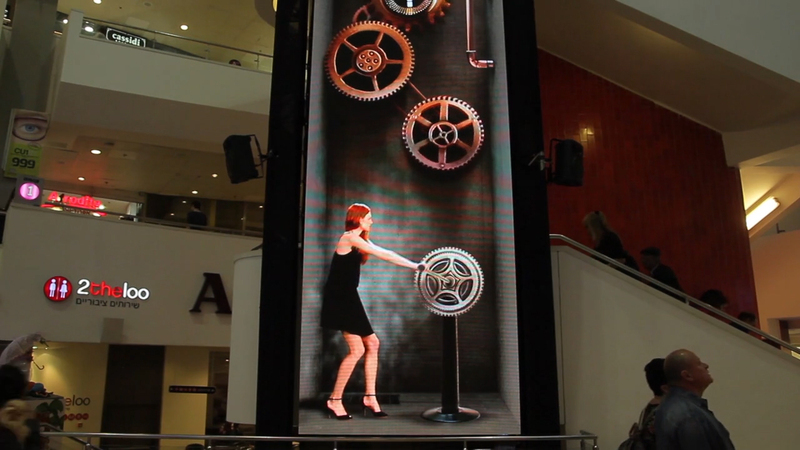 As part of this project, the company installed two hanging screens, with combined size fo 160 sq. m., and an approximate height of 25 meters. The project included complex planning of the hanging mechanism, required to hold a structure weighing over 27 tons onto existing bunches. 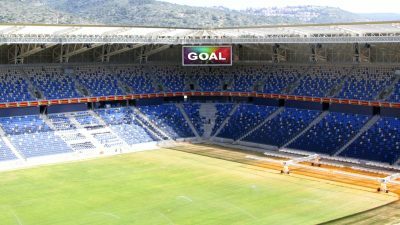 Visualed was responsible for all aspects of the project, including design and manufacturing of the bundle connectors, planning and manufacturing of the screen covers, design and manufacturing of the bridges leading to the screens, the complex lifting of structures weighing 8 tons from the stadium floor to the connection points, integration management systems, and more. 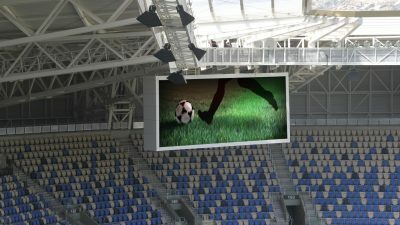 Visualed installed a number of comprehensive content management systems throughout the stadium. 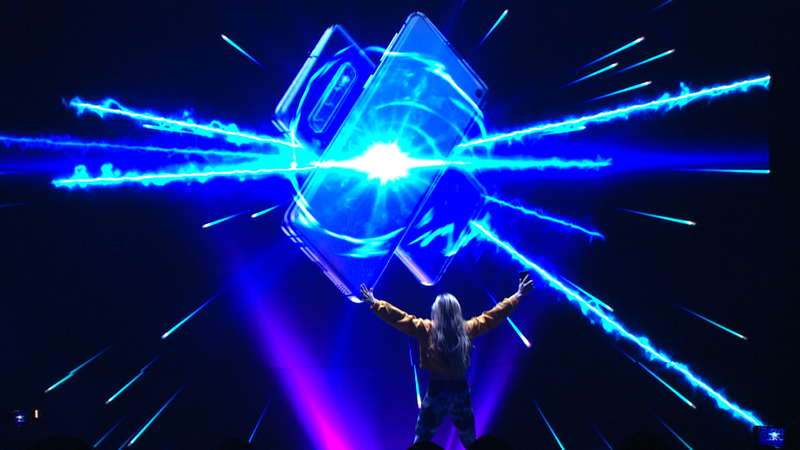 Alongside the installation of these systems, which include unique software and hardware, the company implemented transmission cards capable of capturing an HDSDI interface from the mobile broadcast vehicle, in order to facilitate live broadcasts, replays and advertising media. 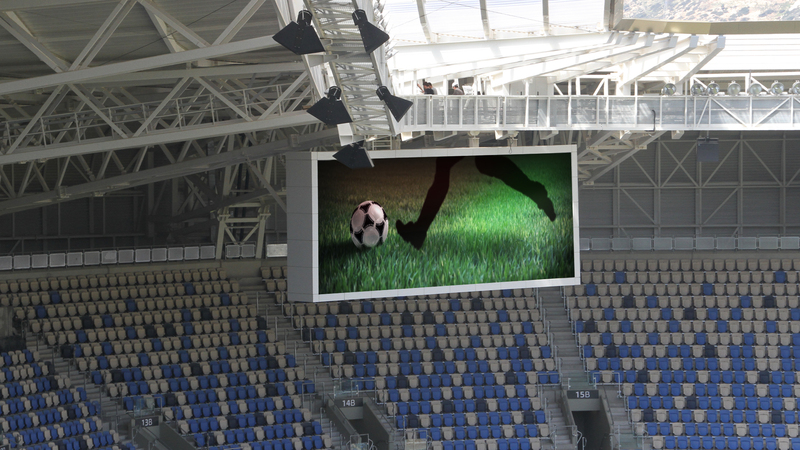 Tha Live Pixels Studio had so far produced a sighnificant amount of content displayed on the screens during special events hosted at the stadium. 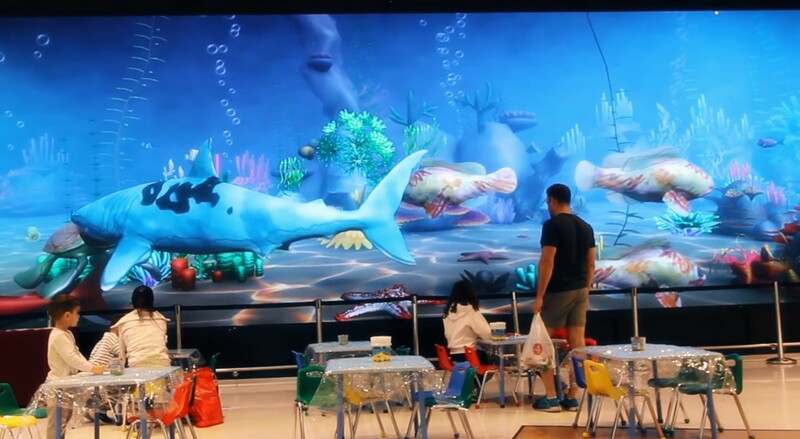 The game management system was designed and developed in Israel by Visualed and a local software programming company. The system allows the management of the game through the use of a simple and highly intuitive Hebrew interface, and is no less than a breakthrough in this field. The game management system is based on XML and HTML5 and, as such, it enables complete flexibility in all aspects concerning updating of the game’s dynamic processes. 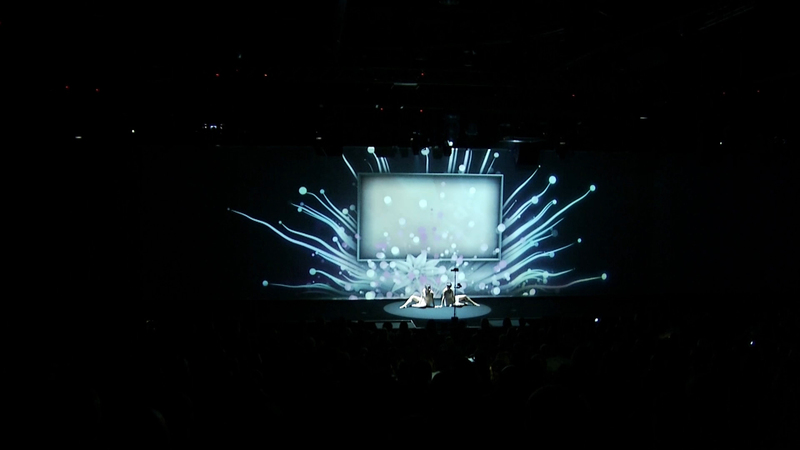 The Live Pixels Studio was charged with producing the effects videos integrated as part of the game management system. Indeed, every event in the game- such as a yellow or red card, a goal, etc- is featured as dynamic graphic process.